One Fat Frog Restaurant Equipment sees several truckloads of used commercial restaurant equipment come in every week – just arrived last week are several used walk-in coolers and walk-in freezers from brands like Norlake. One is a combination cooler and freezer whose total measurement is 24 x 7 and another combo measures 7 x 7. Holding foods in a safely chilled or frozen state to avoid cross-contamination and keeping products at consistent, safe temperatures are a walk-in’s primary food safety function. A walk-in’s temperature monitoring and recording systems can help operators comply with HAACP guidelines, and can be especially useful in cook-chill storage of pre-made foods. If possible, designate separate sections of a walk-in cooler for raw and ready-to-eat products. This will minimize the chances of cross-contamination. 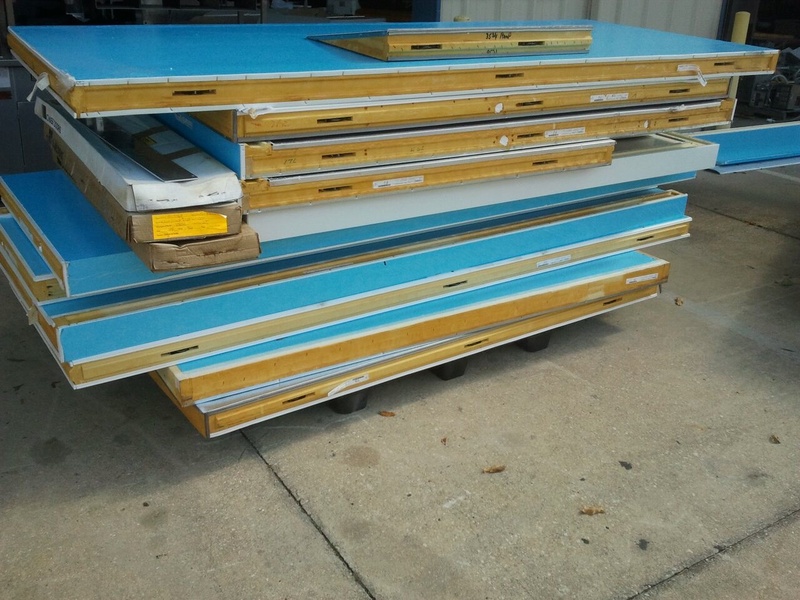 One Fat Frog Restaurant Equipment is selling these used walk-ins at very low prices – One Fat Frog Restaurant Equipment simply has to get rid of them to make room in the warehouse! One Fat Frog Restaurant Equipment offers an easy financing plan – no one will be turned away. One Fat Frog Restaurant Equipment can get you approved no matter what shape your credit is in. One Fat Frog Restaurant Equipment also welcomes quick cash deals and package deals on the entire stock of used commercial restaurant equipment – including these used walk-ins. One Fat Frog Restaurant Equipment delivers to more parts of Florida than any other used restaurant equipment dealer in Florida. One Fat Frog Restaurant Equipment delivers absolutely free to Tampa, Jacksonville, Tampa, Ocala, St. Augustine, etc.